Sanibel Island’s Bailey Tract is not a bad Plan B.
I totally needed something that was going to put me in a better mood, because I had just found out that the Ding Darling NWR was closed. And this was the only day I had to myself to visit the refuge—after a week of very long days of business meetings. While the Wildlife Drive is closed, the Visitor’s Center at Ding Darling is open and the Ranger recommended that I visit Bailey Tract, which was just down the road a few miles. “Will I see birds there?” I asked. “Well, I can’t guarantee what you will see,” he had told me cautiously. On top of feeling picked on for not being able to enter the refuge, I was feeling bugged that the ranger was channeling lawyer-speak. He clearly didn’t want to promise anything. I know birds are unpredictable, but I wanted some assurances. The reason why Ding Darling NWR is closed to the public is so the wildlife could have a rest from us humans. I totally get it and actually respect that—like, a lot—and it’s hard to get my own feathers ruffled about it. So, since Plan A didn’t materialize, off I went to Bailey Tract. Bailey Tract is actually part of the Ding Darling NWR, but it’s a few miles down the road. And best of all, it’s open on Fridays. As you exit Ding Darling you turn left on Captiva Sanibel Road, go a few miles then turn right on Tarpon Bay Road, then after 1/2 a mile you’ll see Bailey Tract on your right. Just park your car and you can walk along the easy flat trail to a series of ponds. 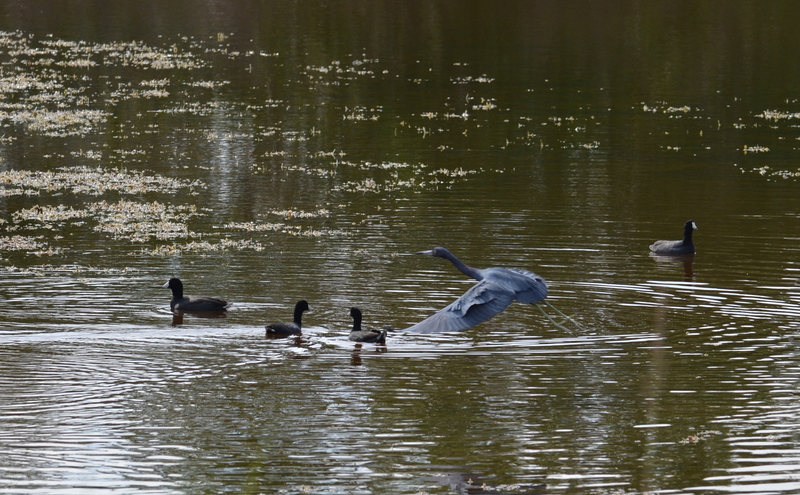 They hurried their pace to get to the pond. Me? I just strolled quietly looking for birds, not alligators. By the time I got to the pond, no one was around. Nor was the alligator from what I could tell. 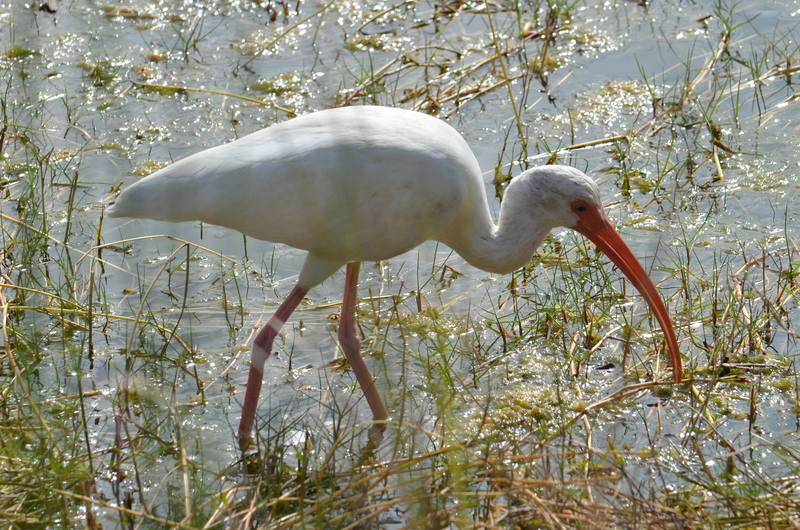 But there was a White Ibis and a Little Blue Heron–both that seemed to be either unaware that I was there or just simply daring enough to tiptoe so freakishly close to where I was standing. Water birds generally have kept their distance from me, which of course bugs me (and costs me a pretty penny as I’ve invested in a few telephoto lenses to just get a good shot), so this closeness—this intimacy—was a special treat. I was silent and tried to be a quiet observer, and I had to put a lid on my excitement. So yes, there were birds all over Bailey Tract, which makes it not a bad Plan B at all. I eventually got to do Plan A and visited Ding Darling NWR the following morning before I had to catch my plane back to Utah, but now I have a newfound respect for Plan Bs in life. 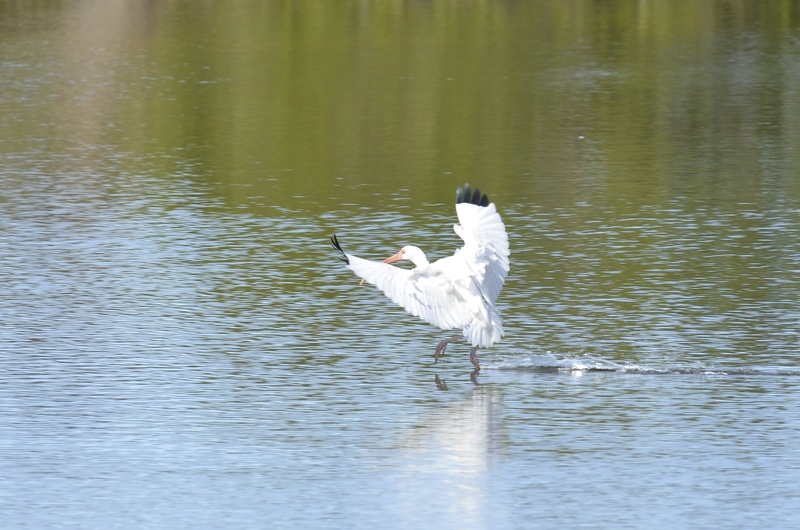 Take a look at some more birds (below) from my visit to Bailey Tract. These are my Plan B birds. Click on any photo and it will take you to a gallery where you can view all of them in their splendidness. 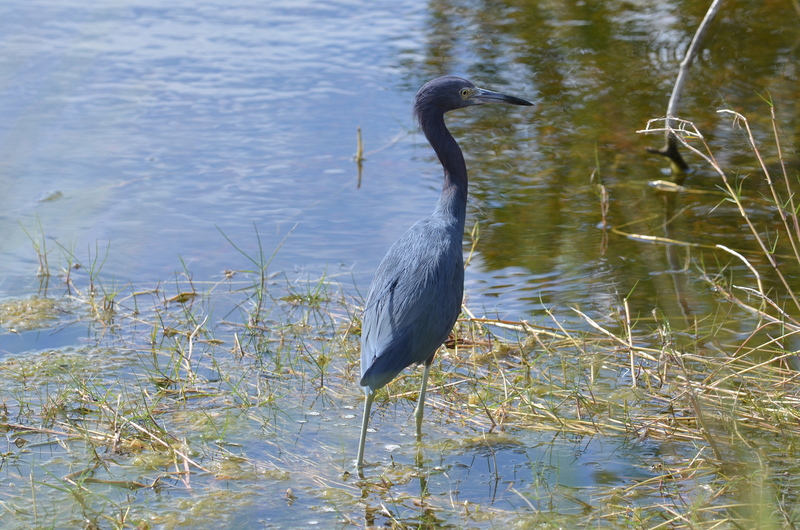 Little Blue Heron just hanging out.